I have this thing with Christmas trees. I’m kinda like Kevin McAllister. It’s not Christmas without a Christmas tree. And while I have to put up an artificial tree in my apartment, because rules and all, there’s nothing quite like having a real tree at home for the holidays. A few years ago, we decided to take a page from the Griswold Christmas playbook and hit the great outdoors to find our tree. It’s been tradition for the last three years. 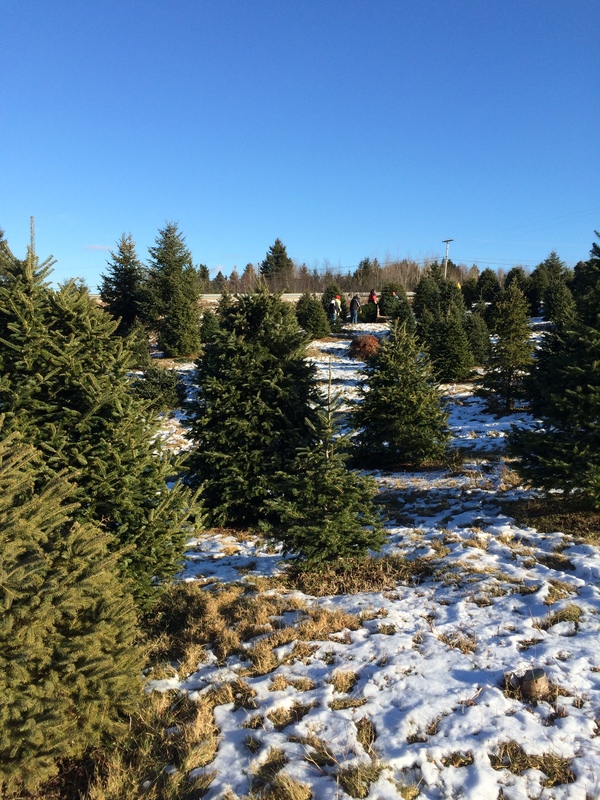 So today, extra hot Starbucks lattes in hand, we bundled up and hit the Hillside Christmas Tree farm to find the perfect tree. Here are just a few snapshots from the search that led us to the perfect 8 foot tree that will be the 2013 Richard Family Christmas tree. Don’t let the saw fool you, we had a little help from a chainsaw. Also don’t let the size fool you, it looks small in this picture but the tree is WAY bigger than we had planned now that it’s home. Oh and come by later this week when I reveal the 12 Days of Christmas on the blog.